Please note, Our Sleep Guide is proudly supported by our readers. The product links you’ll find on Our Sleep Guide are referrals and if you purchase an item we do make a small compensation. Please see our disclosure page for full details. It’s true what they say: you can never have too much of a good thing. 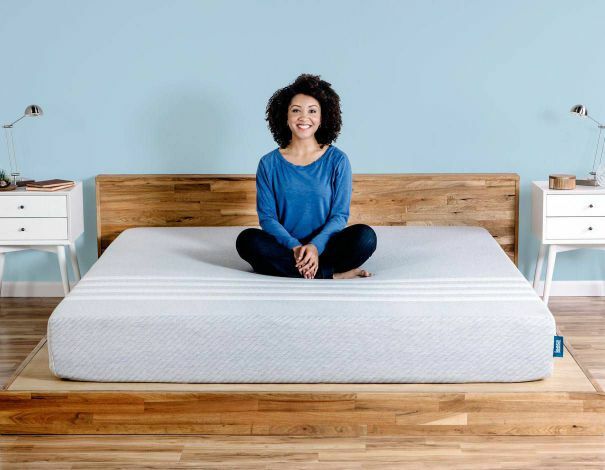 Whether you’re new to the online mattress game, or an expert, the Leesa and Tuft and Needle mattresses are the tried and true mattresses that you can trust. Both brands know the mattress industry, so you will find ample positive reviews about both. These all foam mattresses offer universal comfort. The Leesa has been known as quality and affordability. While the Tuft and Needle has specifically targeted the niche market for budget shoppers. See which one of these all foam beds are best for you in our Leesa vs Tuft and Needle side by side review. You’ll be amazed by how much the Leesa can offer in only 10” and 3 layers. The Leesa has significant airflow and bounce, great pressure relieving memory foam with just enough hug. While the foundation is dense and durable, it makes the mattress ideally supportive. All while cradling your body just enough. The Leesa’s firmness is perfect for giving you the best spinal alignment and ergonomic support. All while the layers are breathable and perfectly accentuate the mattress. Overall, the Leesa has a medium-firm feel, making it ideal for a variety of sleepers. The mattress is high quality and reasonably priced as well. But the best part is 100-night sleep trial, 10-year warranty, and free and easy returns. So you’ve really got nothing to lose. Check out the full review of the Leesa HERE! Leesa Coupon: Latest Savings & FREE Shipping HERE! More than anything, you may have heard of the Tuft and Needle and it’s reasonable price point. 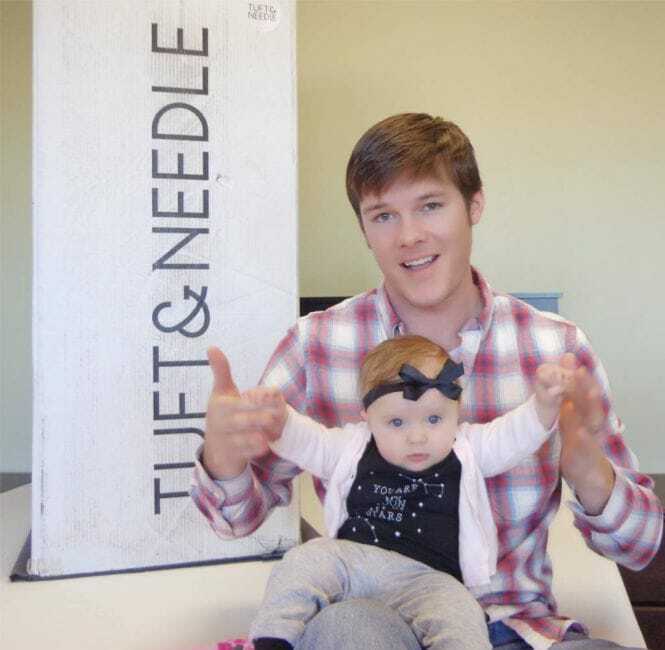 Thanks to this successful campaign, Tuft and Needle has been a leading brand in the mattress industry. Specifically positioning themselves as a budget-friendly mattress in the business. Their all foam mattress is certainly cost effective and proudly made in the USA. With the Tuft and Needle you get 10” of comfort, a 10-year warranty, and a 100-night sleep trial. All of these features combined makes the Tuft and Needle price even tougher to beat. So if you’re shopping for comfort on a reasonable budget, the Tuft and Needle should be your top contender. Check out the full review of the Tuft and Needle HERE! 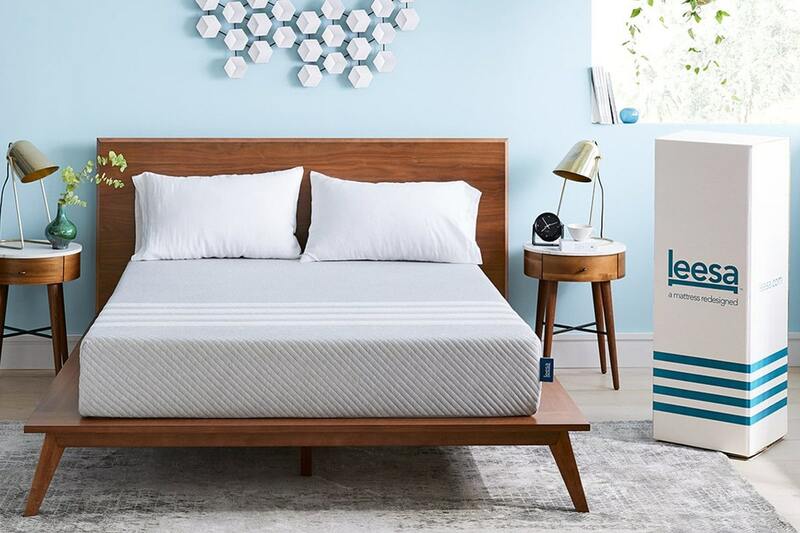 Tuft & Needle Mattress Latest Coupon – HERE! When it comes to delivery and off-gassing, you may think that you’ve seen one, you’ve seen them all. But it is important to always be mindful of the specific delivery instructions of each mattress. Your Leesa mattress will be delivered for free directly to your door via UPS. There is the option to upgrade to white glove delivery, but this does include a small fee. The best part about the Leesa is that unlike several other mattress companies, your Leesa mattress is made for you only once you order, so that it is never roll packed until it leaves the factory. Within about a week, your Leesa mattress will arrive at your door in a fairly compact box, weighing approximately 70 lbs. You will want an extra set of hands to help maneuver it. But once you’ve gotten the mattress to the desired location, unboxing takes only minutes. Simply cut away the plastic, and sit back as your mattress comes to life. Keep in mind that your mattress should fully expand initially. However, it will take at least 24 hours before it fully firms up. During this time you may notice a few smells, but they are harmless. The smell will mostly be from the plastic, which you will throw away anyway, but a few smells may come from the mattress. The remedy is simple: simply wait a few hours before putting on your bedding or using the mattress. Or open a window to speed up the airing out process. 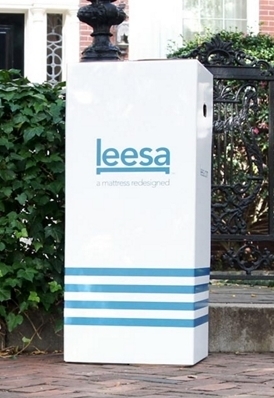 Ready to order you new Leesa mattress? Learn more and shop at Leesa.com. Your Tuft and Needle will also include free shipping and arrive directly to your door, weighing approximately 60 lbs. The main difference is that there is no guarantee when your Tuft and Needle is roll packed, unlike the Leesa. You will want some help when trying to maneuver your Tuft and Needle. Once you get it where it needs to be, simply take it out of the box, cut away the plastic, and let your mattress do all the hard work, expanding, on its own. Like most boxed mattresses, the Tuft and Needle will also have a bit of off-gassing. But nothing to worry about, and no noxious fumes. If you are sensitive to smells, opening a window will assist the off-gassing process, otherwise it is merely a waiting game for a few hours while the smell dissipates. Not a fan of off gassing or man made materials? Than a natural mattress may be the best bet. Learn more on our Best Natural Mattresses page. The 10” and 3 layers of the Leesa mattress are sure to impress. From the top down, the first layer is 2” of 3.65 lb. density Cooling Avena Foam. This layer is as luxurious and cool as it sounds. Convoluted to create hills and valleys for airflow and dissipate heat. In addition, this layer is aerated to decrease heat retention as well. Finally, this layer has latex qualities to give it the perfect amount of bounce and responsiveness. The second layer is 2” of 3 lb. density Contouring Memory Foam. This layer has just enough contour to let you sink in a bit, while still providing great pressure relief and distributing body weight evenly. The final layer is 6” of 1.8 lb. density Core Support Foam. This creates a foundation for the Leesa that is supportive, strong, and has great durability, making this mattress solid enough to last a lifetime. The entire mattress is wrapped in their iconic gray cover with four white stripes, making this cover not only soft and breathable, but also pleasing to the eye. 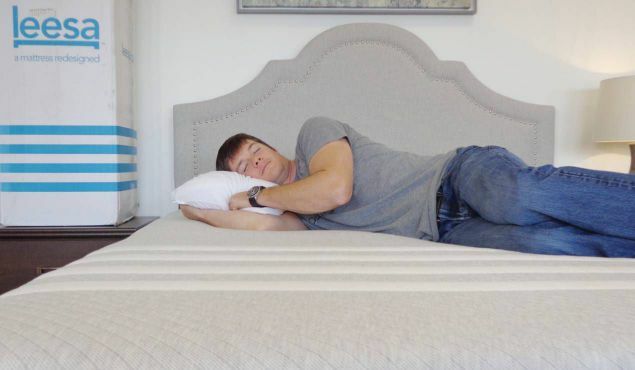 The Tuft and Needle mattress has one of the most unique designs. It is 10” thick, divided by only two layers; the best two layers of comfort you’ll ever feel. The first layer is 3” of a unique, T&N proprietary adaptive foam. This foam is both balanced and pressure relieving, both the benefits you want out of your memory foam mattress. This top layer is also meant to be supportive yet comfortable, and never makes you feel stuck. With both charcoal infusion and gel, this layer can dissipate heat and keep the bed cool like you’ve never felt before. The second part of the mattress is 7” of base foam. This dense layer is supportive and creates the foundation of the bed by providing an ideal base. The Tuft and Needle has a good combination of sturdy support and optimal comfort, above what you’d get from an average mattress. Finally, the Tuft and Needle is wrapped in a tight, sturdy, breathable cover so your mattress gives you a complete, best night’s sleep. Thanks to the two unique performance foams used on the Leesa mattress, it provides the perfect amount of feel and balance. First is the comfort of cooling and responsiveness with the Avena foam layer. Then there’s the contouring and pressure relieving memory foam. Together, these two foams create an ideal universal feel that is suitable for a wide range of sleepers and sleeping positions. Every comfort layer needs a solid, dense, base foam to create core support, and this is exactly what the Leesa has. All three layers together provide proper support and spinal alignment, giving you a luxurious feeling mattress. The Leesa also has an optimal hugging feel allowing you to move around easily, while still creating just enough hug. Overall the Leesa is soft and supportive, but still has a medium-firm feel, comparable to a 6 on a 1 to 10 scale. The Leesa is ideal for stomach, back, side sleepers, any position, the Leesa has got your back. For stomach sleepers it is supportive enough so that your back doesn’t bow. For back sleepers the Leesa provides good lumbar support with just enough sink. And for side sleepers the mattress easily allows your shoulders and hips to sink in. Finally, the Leesa is even supportive of a heavier person, although the mattress may feel more medium than medium-firm. 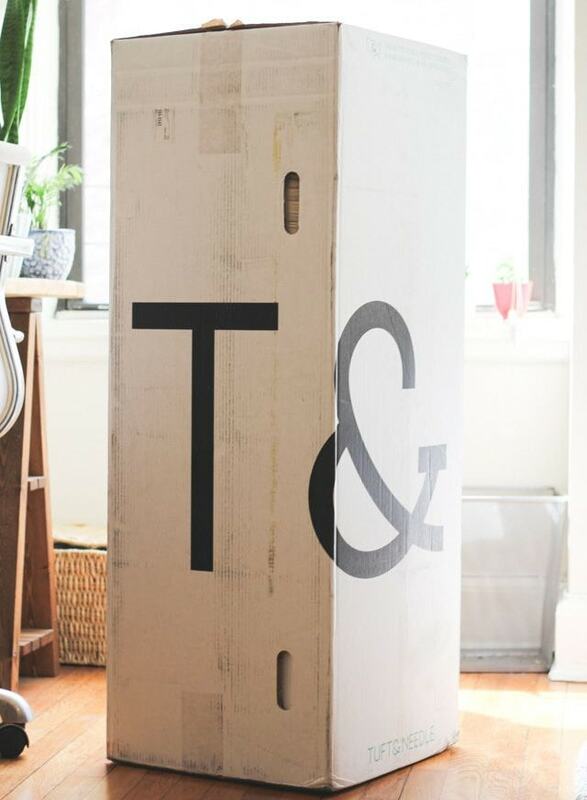 The Tuft and Needle aims to be a “one size fits all” or at least one size fits most mattress. 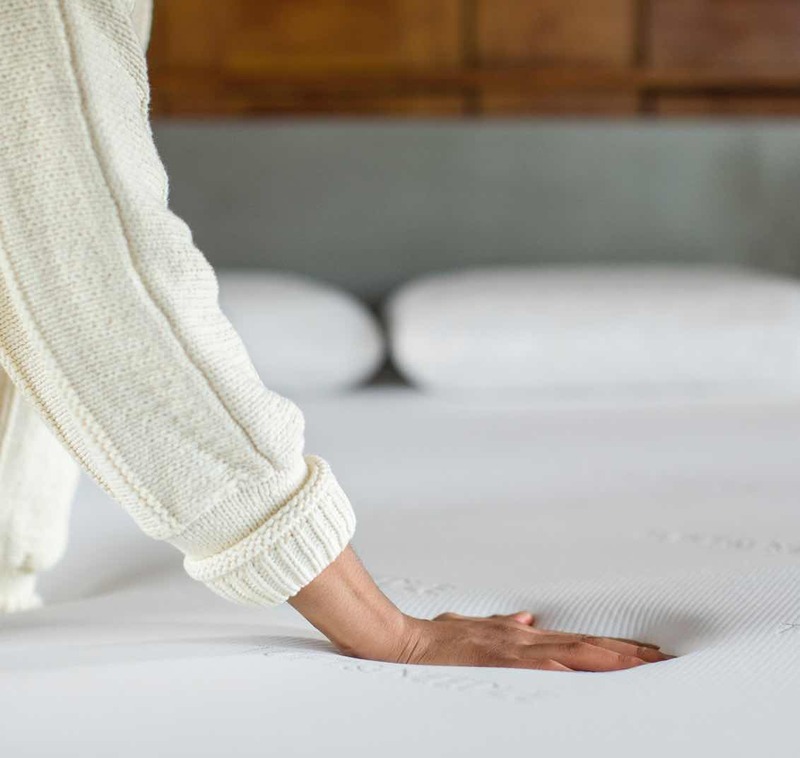 With one universal feel and one comfort option, the Tuft and Needle gives you a medium-firm feel, which measure a 6.5 to 7 on a 1 to 10 firmness scale; 1 being the softest and 10 being the most firm. Per a real life review, Tuft and Needle customers can tell that this mattress would work for most sleepers. If you are a back sleeper, the Tuft and Needle provides decent lumbar support and cradles your shoulders and neck. It will also perform surprisingly well as a great mattress for back pain. For stomach sleepers, the Tuft and Needle is also an acceptable mattress since it’s firmness prevents your back from bowing. Finally for side sleepers, this mattress is highly supportive, but may be too firm for someone who likes their shoulders and hips to sink in a bit. For heavier sleepers, the Tuft and Needle might fall short when it comes to support. 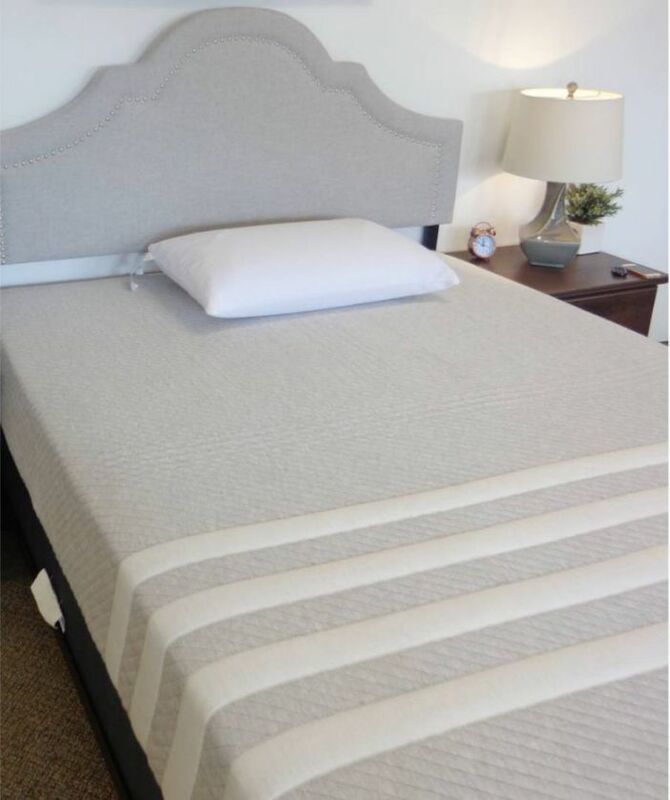 The base foam of this mattress is not as dense as other foam mattress, which could create a quicker softening feel. Overall, the top layer of the Tuft and Needle feels somewhere between foam and latex, which gives it just enough balance between spring and sink. Lastly, since the base foam is a concern, it makes one question how long the Tuft and Needle will last. The mattress lacks the core support needed to create a long lasting, durable mattress. Foam mattresses are the best in the business for minimal motion transfer, so the Leesa and Tuft and Needle follow suit. With the Leesa mattress, although the top layer of Avena foam is more responsive, vibrations will be very soft. The unique part about Avena foam is that it creates ease of moving without adding significant bounce. In addition, since there is an additional layer of memory foam beneath the memory foam, this quickly deadens movement. In fact, even the base layer assists in minimizing motion (if movements travel that far), since it is so dense. The Leesa is definitely the ideal mattress for people who share the bed. As another foam mattress, motion transfer in the Tuft and Needle is minimal. For a typical sleeper, one who gets up to go to the bathroom, or feed the baby, or wakes up early in the morning, there is minimal to no partner disturbance. This is because foam does not transfer movement easily, and the Tuft and Needle is the perfect balance between latex and foam. Unlike motion transfer, Sleeping Cool is not always in the favor of foam mattresses, but the Leesa mattress takes several precautions to keep you cooler. 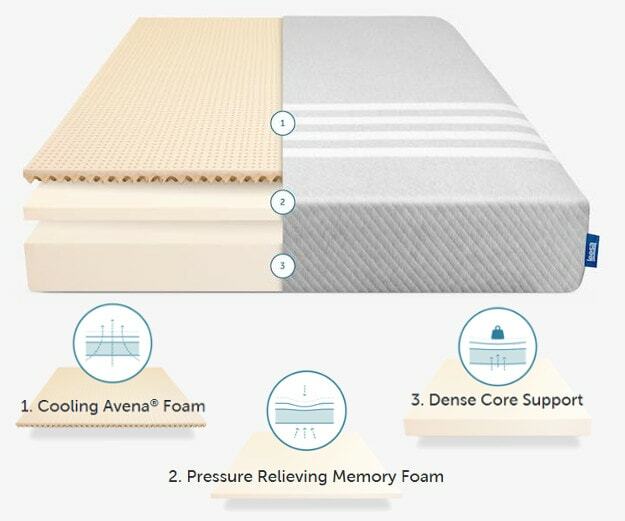 First and foremost, the top layer of Avena convoluted foam has a unique shape that is aerated with holes and has hills and valleys to create airflow and minimize heat retention. The Leesa does use typical memory foam, but since the memory foam is beneath the Avena foam, it never comes into contact with your body, and therefore keeps you from getting hot. Another key to sleeping cool is a sturdy, dense base foam, which the Leesa has. A solid core means you won’t sink into the mattress too much, so there are less spaces for your body to create heat. Finally, the Leesa is wrapped in a soft, breathable cover, so that there’s coolness 365 degrees around the mattress. While the Tuft and Needle also takes precautions to allowing you to sleep cool, it does not quite compare to the Leesa. Specifically because since the Tuft and Needle base foam is not as sturdy as the Leesa, you get less core support and more sink. However, the Tuft and Needle does use cooling gel beads in the top layer, which makes a huge difference for memory foam. So it may work for average sleepers, just not especially warm sleepers. One thing you cannot forget when shopping for a mattress online is edge support. This means you are looking at how well the mattress performs for sleeping and sitting. With several layers of dense, quality foams, the Leesa will provide a very even and level sleeping surface. You can easily sleep on the Leesa from middle to edge, while still feeling supported. This means theLeesa has good, consistent, edge sleeping support. When it comes to sitting however, the Leesa is no different from other foam mattresses, and does not provide heavy duty support. Overall, we’d recommend the Leesa for sleeping, but not for sitting on the edge for prolonged periods of time. Compared to the Leesa mattress, and all other foam mattresses like it, the Tuft and Needle does fall short when it comes to edge support. With lower quality materials, the Tuft and Needle gives you a falling off the bed feel, both when sitting and sleeping. If you are sleeping on the edge you will feel unsupported, like you are rolling out of bed, and will eventually fall out. However, if you sleep 3-4” away from the edge, you are supported. As far as edge support goes, there is little you can do with the Tuft and Needle mattress. Why would you pay for something that you know isn’t going to last? That is the question with the Leesa vs Tuft and Needle price point. While the Tuft and Needle is significantly cheaper, $575 for a Queen with 100-night trial period and 10-year warranty, we have already explained how it lacks in every category, so the value of the Tuft and Needle is low. You hardly get any bang for your buck. 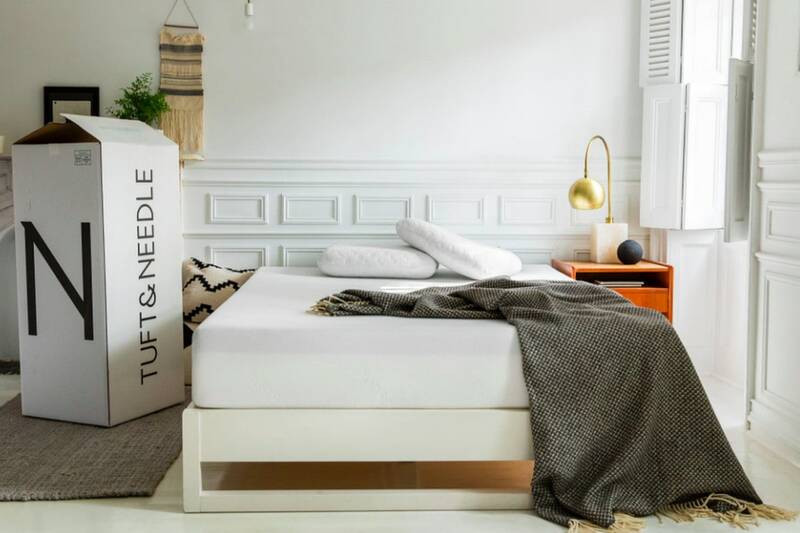 Tuft & Needle Mattress Discount & Free Shipping – HERE! On the other hand, the Leesa is more expensive than the Tuft and Needle, but still reasonably priced for the mattress industry. The Leesa is $940 for a queen before promotions, and includes a 100-night sleep trial and 10-year warranty. This is an excellent value for this kind of all foam mattress, one that is sure to last you for years to come. Interested in the Leesa? Learn more and shop at Leesa.com. Both the Leesa and Tuft and Needle offer a 100-night trial period and 10- year warranty, so there is little to compare. Returns are also free and easy, and you’re buying from well-known businesses that care about their customers. Keep in mind that the ideal time to know if your new mattress is the right fit, is at least 30 days. Although there are several mattresses in the industry, there are only a few great mattresses. The difference between the Leesa and Tuft and Needle mattress, is the difference between good and great. The Leesa is great for a little bit higher price. The Tuft and Needle is good for a lower price. But you never know, you may need to replace your Tuft and Needle sooner. And therefore spend more money in the long run. The Tuft and Needle performs decent in all categories, but the Leesa performs great in motion transfer, sleeping cool and offers solid edges. We’re sure you can’t go wrong with either mattress choice, but if you want to go right, the Leesa is the mattress. Still unsure? Check out the FULL review of the Leesa mattress HERE and the Tuft & Needle HERE! For more comparison reviews beyond the Leesa vs Tuft and Needle mattresses make sure you check out our Mattress Comparison Page. This will give you access to all our comparison reviews. Including some of our most popular including the Puffy vs Purple, Casper vs tuft & Needle, Nectar vs Tuft and Needle, and Puffy vs Puffy Lux. Or to make your own comparison selections use our Mattress Comparison Tool for a quick side by side glance at up to four of any of our mattresses at once. This is a great way to help narrow down your top contenders and see the differences of each. Not sure where to start? No problem! Let us help you start your mattress search with Our Mattress Guide to take out any confusion. Also access all of our latest and greatest Mattress Reviews too! Also have question for Our Sleep Guide? We are happy to help, so please feel free to contact us!